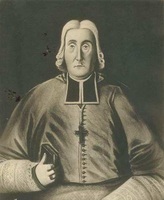 DOSQUET, PIERRE-HERMAN, Sulpician, priest of the Missions Étrangères, and fourth bishop of Quebec; b. 4 March 1691 at Liège (Belgium), son of Laurent Dosquet, a merchant and bourgeois, and Anne-Jeanne Goffar; d. 4 March 1777 in Paris, France. Nothing is known of Pierre-Herman Dosquet’s youth other than that in 1715 he entered the Sulpician seminary in Paris, where he was ordained priest the following year. Admitted to the Society of Saint-Sulpice in 1721, he then volunteered for the mission in Canada, arriving there in July that year. For two years he served as chaplain of the Congregation of Notre-Dame in Montreal, to the nuns’ satisfaction. Poor health and the climate led him to return to France in 1723. Dosquet then became the superior of the Séminaire de Lisieux, retaining this office until 1725. At this period the Society of Saint-Sulpice supplied the Séminaire des Missions Étrangères with some of its members, and Abbé Dosquet was one. He became a director of the Paris seminary and was sent to Rome as its procurator. On 25 Dec. 1725 he was named bishop of Samos in partibus, with the honorary title of assistant to the papal throne. He also held the position of procurator general for the apostolic vicars of the East Indies. In December 1727 Bishop Saint-Vallier [La Croix*] died in Quebec. For nearly two years Quebec had no resident bishop, since the coadjutor, Bishop Louis-François Duplessis de Mornay, never set foot in Canada. On 25 May 1729 Dosquet was appointed administrator of the diocese by Mornay, now titular bishop, and Pope Clement XII signed the bull naming him coadjutor on 24 July 1730. The new coadjutor was to find himself confronted with several problems. He stayed at the Séminaire de Québec initially, since the bishop’s palace was in disrepair and in addition he was unsure whether the bishop was its owner. In his will Bishop Saint-Vallier had made the nuns of the Hôpital Général his sole legatees, but he had bequeathed the bishop’s palace to his successor, on condition that he maintain it. This ambiguity concerning the ownership engendered a quarrel that would only be settled later under Bishop Pontbriand [Dubreil*]. However, after costly repairs Dosquet was able to move into the bishop’s palace; he never felt at home there because the palace had a rampart walk on which the public used to gather. 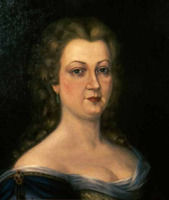 At the time of Dosquet’s arrival in Quebec certain religious communities of women, particularly the hospital nuns and the Ursulines, were living under difficult conditions resulting from the discord that had arisen upon Bishop Saint-Vallier’s death [see Claude-Thomas Dupuy*; Étienne Boullard*]. Dosquet criticized the religious life of these communities harshly, and this action scarcely made him popular, especially since Governor Charles de Beauharnois* and Intendant Hocquart did not share his opinion. The bishop even required the Ursulines to destroy about 25 pages of their annals which described their dispute with the chapter of Quebec over their confessor. Dosquet enjoyed no better relations with the chapter; there was nothing but mutual recrimination. The bishop almost systematically took the opposite view to the chapter’s decisions. However, neither meanness nor personal rivalries were the reason for the bishop’s attitude. In the opinion of Beauharnois and his contemporaries “the coadjutor is a saintly man . . . who applies himself to putting everything in order.” He simply lacked a modicum of tact and diplomacy, as for instance when he set the governor and the intendant against him by getting the minister of Marine to forbid them free access to the convents. Dosquet shared his predecessors’ opinion about the liquor trade. He differed from them, however, in visiting his diocese only once, in the summer of 1731, and he availed himself of the occasion to have his priests sign a condemnation of Jansenist ideas. During this visit he became aware of the straitened circumstances of his parish priests, and as a result asked that the tithe be increased to a thirteenth from a twenty-sixth –a request refused by the king, to the great relief of the Canadian settlers. The coadjutor himself was in a difficult position financially, since he had not received the revenues of the benefices attached to the bishopric of Quebec. Dosquet therefore decided to return to France to secure either Bishop Mornay’s resignation or his move to Canada. Dosquet sailed on the Rubis on 15 Oct. 1732, after selling some of his possessions, for in the event that he should meet with a refusal he did not wish to return to Canada as coadjutor. In France Dosquet made efforts to clarify the situation of the episcopal see of Quebec. In the autumn of 1733 Mornay resigned, and Dosquet succeeded him, receiving various gratuities granted by the king. The new titular bishop left La Rochelle on 31 May 1734, with an entourage of 11. 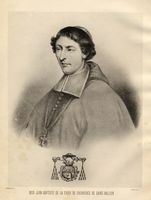 On 8 August Canon Eustache Chartier* de Lotbinière, archdeacon of the chapter, took possession of the bishop’s palace in the name of Dosquet, who reached Quebec on 16 August. 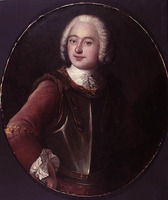 No description of his arrival has been found; Beauharnois and Hocquart simply mention in a dispatch that “he has been received with all the honours due his position.” Dosquet took up virtually permanent residence at Samos, a house in Sillery that he had bought in 1730. His remoteness from the centre of the city assuredly did nothing to foster good relations between the bishop and his people, who saw little of him during his term of office, especially since he made no episcopal visits. 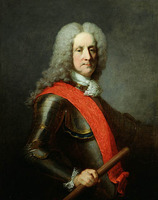 Indeed, certain of his decisions displeased the Canadians: in February 1735 he issued a pastoral letter revoking all the powers accorded the priests in his diocese by his predecessor, and on the pretext of correcting certain abuses he forbade priests to be served by women in their presbyteries unless they were close relatives. 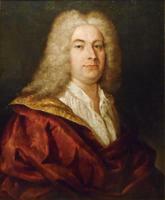 In addition he prohibited ecclesiastics from wearing wigs and barred schoolmasters from teaching classes with pupils of both sexes. Only one directive seemed likely to win him praise from posterity: in February 1735 he urged parish priests to teach Latin to the children who seemed to have a priestly vocation. 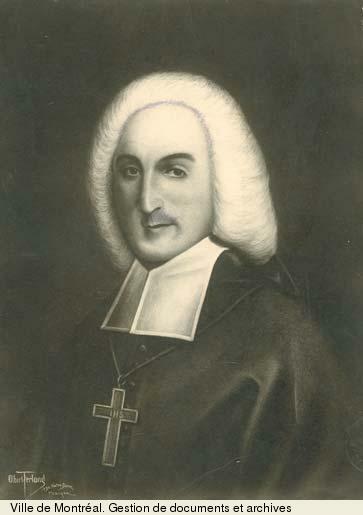 As Beauharnois and Hocquart noted, Dosquet felt that he was “held in little esteem by the people,” and relations between him and his clergy had become strained. Alleging that the air of his native land would do his health good, and that financial matters particularly required his presence in France, he sailed on the Héros on 19 Oct. 1735. As he was far from sure he would return, he took all his staff with him; in addition he ordered the doorkeeper of the bishop’s palace to sell his furniture, and to offset his debts he assigned Samos to the seminary, as well as half of his seigneury of Bourgchemin, bought from Vaudreuil [Pierre de Rigaud] in 1731. Dosquet spent his last years as bishop of Quebec travelling in France. Correspondence between him and the court on the subject of his resignation began in 1736. As he did not wish to return to Canada, he finally agreed to resign, provided the king would guarantee him attractive benefices. Having at last obtained the revenues from the abbey of Breine, near Soissons, and settled the question of the repairs to the bishop’s palace in Quebec, he signed his resignation early in 1739. Bishop François-Louis de Pourroy* de Lauberivière succeeded him. Dosquet then lived alternately in Rome and Paris. 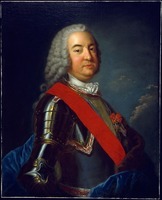 As vicar general of the archbishop of Paris he had the opportunity to render certain services to his successors until his death on 4 March 1777. It is difficult to make a judgement about Bishop Dosquet’s service in Canada. Everyone praised his piety and intelligence. However, Beauharnois stressed that “his administration [was] too autocratic, which alienated people from the trust they might have had in him,” and that to make matters worse he was a Walloon and therefore a foreigner. Moreover, unlike his predecessors, Dosquet was not ready to make sacrifices, money matters having preoccupied him far too much. Yet, it must be emphasized that he arrived in Quebec at a time of great difficulty for the Canadian church, which was still troubled by the dissensions that followed Bishop Saint-Vallier’s death. AAQ, 20 A, I, 19; 22 A, II, 273, 285, 287, 298, 299, 301–4, 393, 425, 428, 431, 434, 445, 446, 460, 477, 486, 487, 492, 494, 507, 508; 10 B, 72, 77, 84; 11 B, IV, 45; VI, 27, 28, 63, 65, 70, 76, 81; VII, 47; CD, Diocèse de Québec, I, 39; 10 CM, I, 62; 91 CM, I, 8; 60 CN, III, 83; 167 CN, I, 88; Dosquet, P.-H., note personnelle de l’archiviste sur son lieu de sépulture. AN, Col., C11A 51–72. ASQ, Chapitre, 146; Doc. Faribault, no.230; Évêques, no.179a, b; Fonds Viger-Verreau, Sér. O, 035, p.7; Lettres, M, 48, 67, 79, 80, 88, 90, 93, 95, 99; R, 8; S, 105; Y, 75; Paroisse de Québec, 19; Polygraphie, V, 22, 40; IX, 33; XI, 3; Séminaire, 3, no.51; 5, nos.73, 74; 12, nos.2a; 2f; 14/5, nos.16, 27, 28, 33, 35; 34, no.137; 40, no.71b; 79, no.4. AUQ, “Annales,” I. “Liste des passagers sur la flutte du roy l’Éléphant destinée pour Québec,” BRH, XXXVII (1931), 61–62. Mandements des évêques de Québec (Têtu et Gagnon), I, 529–52. “Mgr Dosquet et le naufrage de l’Éléphant,” BRH, XIII (1907), 315–16. DBF, XI, 631. Le Jeune, Dictionnaire. PAC Rapport, 1886, xcvi–cxl; 1904, app. K, 108–269. P.-G. Roy, Inv. concessions, IV, 108–11, 114–15, 237–38; V, 276–77; Inv. jug. et délib., 1717–60, II, 77. Tanguay, Répertoire. Louis Bertrand, Bibliothèque sulpicienne, ou histoire littéraire de la Compagnie de Saint-Sulpice (3v., Paris, 1900), III, 168–84. P.-J.-O. Chauveau, Bertrand de La Tour (Lévis, Que., 1898). A.-H. Gosselin, L’Église du Canada jusqu’à la Conquête, II, 48–363. O’Reilly, Mgr de Saint-Vallier et l’Hôpital Général, 280–304. Rochemonteix, Les jésuites et la N.-F. au XVIIIe siècle, I, 157–68. P.-G. Roy, La ville de Québec sous le Régime français (2v., Québec, 1930), II, 129–32. The storied province of Quebec; past and present, ed. William Wood et al. (5v., Toronto, 1931–32), I, 490–96. L.-É. Bois, “Mgr Duplessis-Mornay,” BRH, XVIII (1912), 311–19. [P.-]P.-B. Casgrain, “L’habitation de Samos,” RSC Trans., 2nd ser., XII (1906), sect.i, 3–35. Micheline D’Allaire, “Les prétentions des religieuses de l’Hôpital Général de Québec sur le palais épiscopal de Québec,” RHAF, XXIII (1969–70), 53–67. N.-E. Dionne, “Le naufrage de l’Éléphant,” BRH, XI (1905), 119–21. A.-H. Gosselin, “Mgr Dosquet et M. Voyer,” BRH, VII (1901), 366–67; “Québec en 1730 . . . ,” RSC Trans., 2nd ser., V (1899), sect.i, 3–62. Têtu, “Le chapitre de la cathédrale,” BRH, XIII, 225–43, 257–83, 289–307, 321–27, 353–61; XIV, 3–21, 33–39, 65–79, 97–109. Jean-Guy Pelletier, “DOSQUET, PIERRE-HERMAN,” in Dictionary of Canadian Biography, vol. 4, University of Toronto/Université Laval, 2003–, accessed April 24, 2019, http://www.biographi.ca/en/bio/dosquet_pierre_herman_4E.html.